Challenge… accepted! 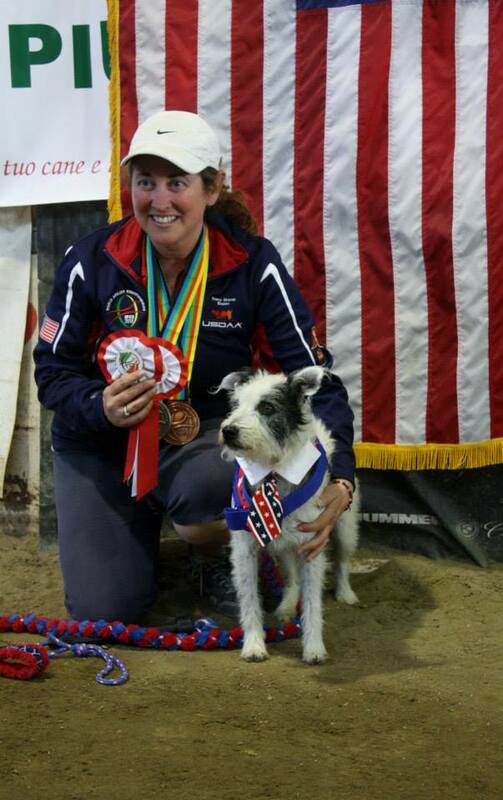 Join Tracy to learn how to handle the high level international-style challenges in agility. Tracy will help you use Feet Forward philosophy to work on independent turns & lines, backsides, threadles, crosses, discriminations and so much more! Full courses and longer sequences will be used to help you and your dog polish existing skills as well as add new skills to master any challenge. Learn how to navigate these challenges with speed and accuracy to create great turns and fabulous lines. This session is perfect for dogs that are competing and are ready to raise their game!